$65 General; $25 Students; Please register via the provided link by April 14. Internationally, the policies and regulations governing charities have undergone more change over the past 25 years than during the previous century. This conference examines international developments in charity regulation and what this means for Canada, with presentations by charity regulators and academics from a wide range of countries. Celebrate the launch with the editors of Regulating Charities: The Inside Story by Myles McGregor-Lowndes (Queensland University of Technology, Australia) and Bob Wyatt (Muttart Foundation, Canada). Co-hosted by the Muttart Foundation and the Pemsel Case Foundation. 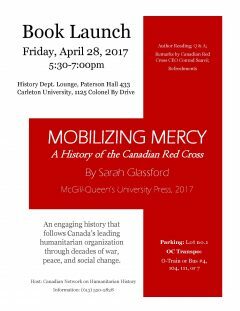 Registration, contact details, and further information can be found at the Event’s Page at the Carleton University website. The conference program can be viewed here.